I must confess, I’ve always thought that a vacation to Africa was reserved for those Americans with lots of time, inordinate amounts of money, disproportionate needs for adventure and, also, Europeans on holiday. In my mind, Africa seemed exotic, rugged and raw, and an out-of-the-ordinary trip that required mental and emotional preparation equally as much as it required planning. So, when my mother and I were offered, on short notice, the chance to explore the French-speaking, majority Muslim country of Senegal, I was, to say the least, somewhat hesitant. This is, after all, a West African country which many people could not pinpoint on a map, and where tourism from North America is so small as to be insignificant. I did not have a clue as to what to expect, although I do consider myself an adventure traveler of sorts. I have indeed visited countries of the developing world — paragliding in the mountains of Colombia, hanging out in the barrios of Puerto Plata, Dominican Republic; but this was Africa and we were not starting out with the more frequently visited countries of South Africa, Kenya or Egypt. My mom, a lady who unashamedly enjoys the creature comforts of the first world, and I were headed to Senegal for seven days to explore a country about which I knew next to nothing. For what I thought would be my longest flight to a faraway land into the unknown, the flight to Dakar took only seven short hours on board South African Airways from Dulles Airport in Washington, DC. Arriving in Senegal, I noticed the airport populace was as diverse in nationalities as a meeting held at the United Nations, and as vibrant as an open air market in Istanbul. There were people from all over — the Middle East, Europe, Africa and Asia. I saw people on business trips and people on vacation, with small children shuffling to and fro. 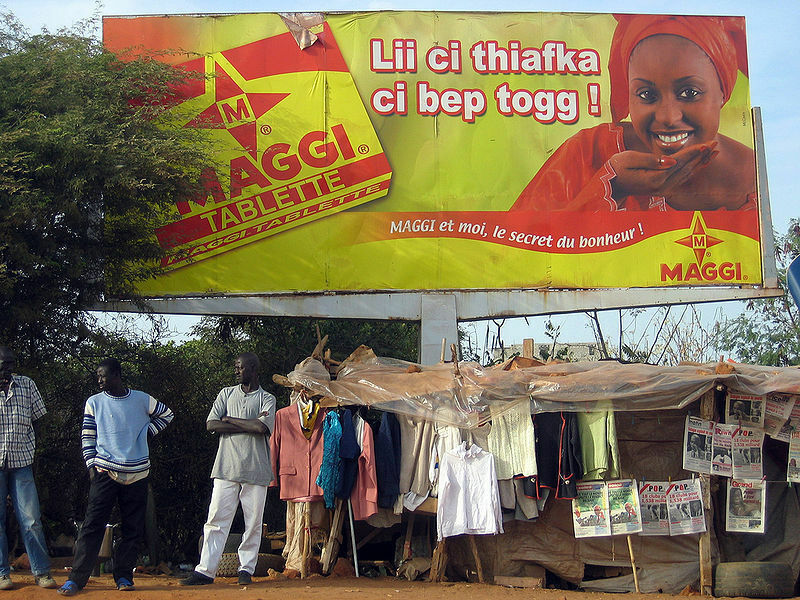 For an airport so busy and varied in the types of travelers it serves, and with such relatively close proximity to the United States, I wondered why I, a self-proclaimed ‘girl of the world’, didn’t know more about Senegal, and why hadn’t I been here sooner? We were greeted energetically by our tour guide from African Connection Tours. He was a friendly man named Amath who embodied the typical Senegalese physical form — tall, dark, physically fit and regal. (Regality, as I would learn, is typical of the Senegalese, who, despite their status as a developing country, are very respectful and cultured; characteristics you can attribute to the French, with a dogged pride in their ethnic identities and the Islamic religion). Our excursion to the hotel (everything is an excursion here, it’s Africa!) from the airport allowed us to see just how alive Dakar, Senegal’s capital city, really was. All around us, and along the rocky white sand beaches were open-air markets with vendors, stands and stores filled with fishermen, craftsmen, artisans, jewelry makers, joggers, playing children, animals, food, and buyers, all in an unorganized rhythm haggling prices in Wolof and French. We took a tour through the Artisan’s Market, one of Dakar’s most well-known, where you can bargain with small shop owners for handmade, authentically Senegalese arts and crafts. You can actually see the sculptors and woodcutters at work. Furniture-making is also an important industry in Dakar. The markets also allowed us unique interactions with Senegalese people who were hospitable, curious and eager to practice their English language skills with tourists. Driving along the coast of Dakar towards downtown, our tour guide pointed to one of Senegal’s new, yet-to-be officially unveiled tourist attractions, the African Renaissance Monument. The colossal, Greco-Roman-styled bronze structure perched atop a 330-foot hill facing the Atlantic Ocean is a 160-foot statue of a three person family — man, woman, and child. The $27 million project that has already been compared to the Statue of Liberty and the Eiffel Tower by the Senegalese President, is a monument symbolizing potential, rebirth and liberation of African people. I was astonished by its grandeur and beauty. I managed to catch my breath before we got to the downtown area where we saw buildings that still very much resembled typical 18th-century French architecture. With most of the structures largely un-restored, I felt as though I was strolling through during the colonial period of West Africa. The beautiful mosques dotted the city and the call to prayer heard all over Dakar bestowed an almost angelic soundtrack over the hectic city of 1.5 million people. We completed our tour of Dakar with a visit to the Palais PrÃ©sidentiel (Presidential Palace), a majestic white building with luscious gardens. We took pictures with the guard at the gate using the palace as the backdrop. Other photo opportunities awaited us at La Porte du 3Ã¨me MillÃ©naire (The Third Millennium Gate). Also known as known as The Gate of Africa, this magnificent structure was assembled in 2001 to symbolize Senegal’s entry into the third millennium. 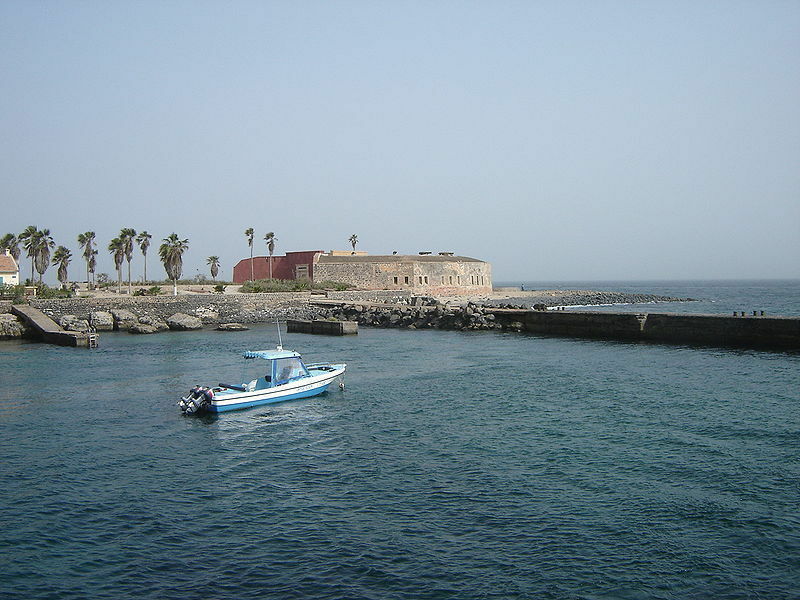 According to our tour guide, Dakar was, especially during the colonial period, an important port city because of its location on Cape Verde. Foreign trade, including the slave trade, is what helped to shape Dakar into an international city of commerce. With trade, countless cultures passed through Senegal resulting in a true melting pot of influences evident in the food, language and customs. 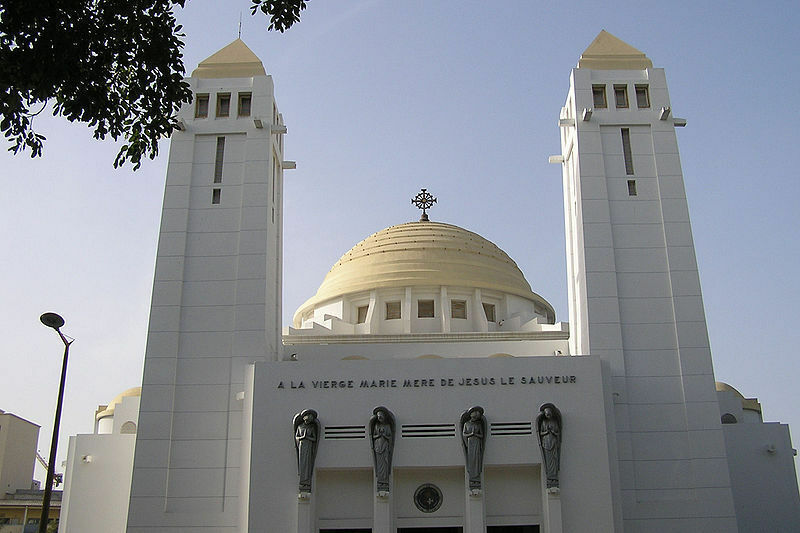 Even though it is a multicultural city with French, North African and Middle Eastern influences, Dakar has still managed to keep its own unique cultural flair and traditions. As a part of our culture tour, we took a ferry to visit world-famous Goree Island, just off the coast of Senegal. 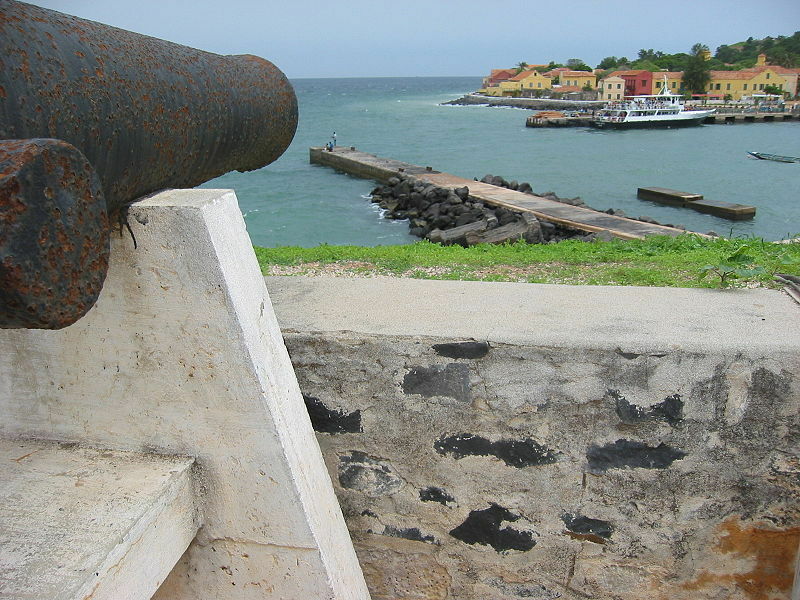 The 45-acre island, now a designated UNESCO World Heritage Site, was once the center for the warehousing of Africans for the trans-Atlantic slave trade. Fortified walls topped by iron cannons still remain to this day. 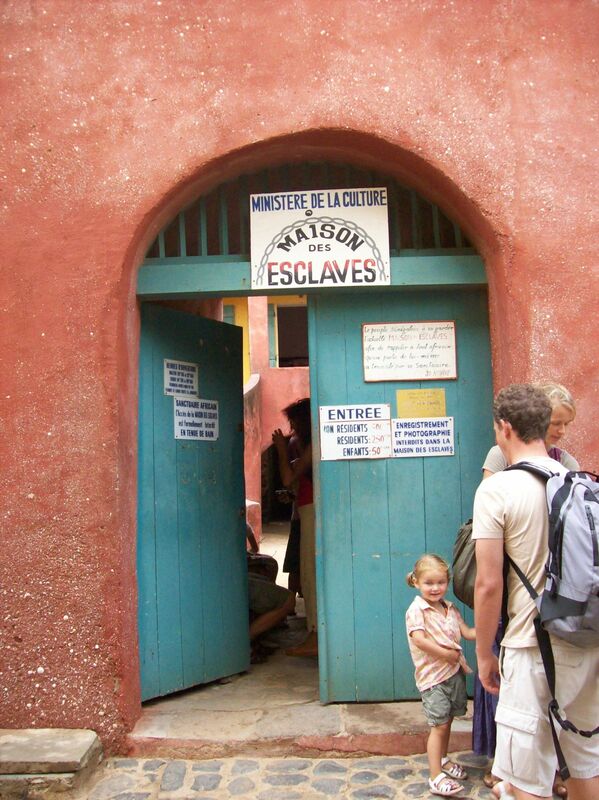 Here is where we visited the Maison des Esclaves (House of Slaves), the most famous tourist attraction on the island. A colonial-styled house built by the Dutch in the late 1700’s, it is now preserved in its original state to serve as a museum for displays of slave artifacts. It’s the only remaining one on Goree, as earlier ones dating back to the Portuguese era in the mid-1500s have all been lost to time. After learning about the horrors of slavery, I felt like a pilgrim visiting a holy site. In addition to learning about the history, we mingled with the locals on the island to enjoy the arts, crafts, dance, music and food. Many children were swimming in the warm waters off the beach. Lunch was at the Chevalier de Boufflers, where we sampled Senegalese cuisine that included right out-of-the water fresh fish in peanut sauce. 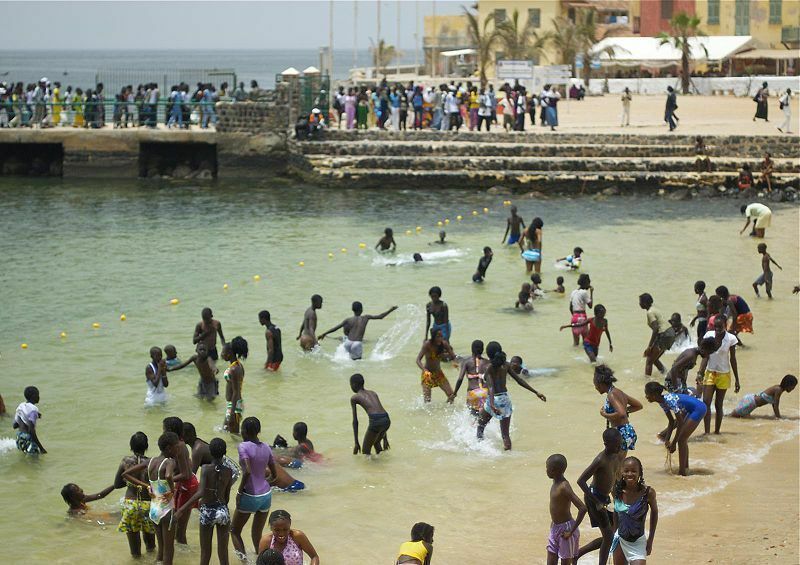 Dakar, Senegal has, since the days of French rule, been a popular vacation spot for French tourists and their families. Our hotel, Terrou-Bi, a favorite among French families, is a contemporary four-star hotel with Art Deco inspiration and a casino for tourists and some of Senegal’s highest rollers. There is a private beach and pool, and on-site restaurants serving fine French and Senegalese fusion cuisine. The hotel is conveniently located 10 minutes from downtown and 10 minutes from the airport. Just4U is a popular hang-out where even kids are welcome to dine with their parents and enjoy the sounds of Africa, as local and international acts take the stage transforming the essence of Senegal and Africa into sound.